Are you looking for a custom cut rectangular shaped sheet metal part? Well, you have landed in the right place. 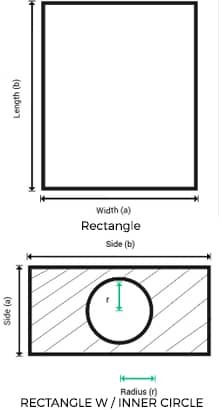 A rectangle is a plane figure with four straight sides and four right angles, especially one with equal opposite sides. You can also define a square where all side are of equal length. How to configure your custom fabricated metal rectangle online? 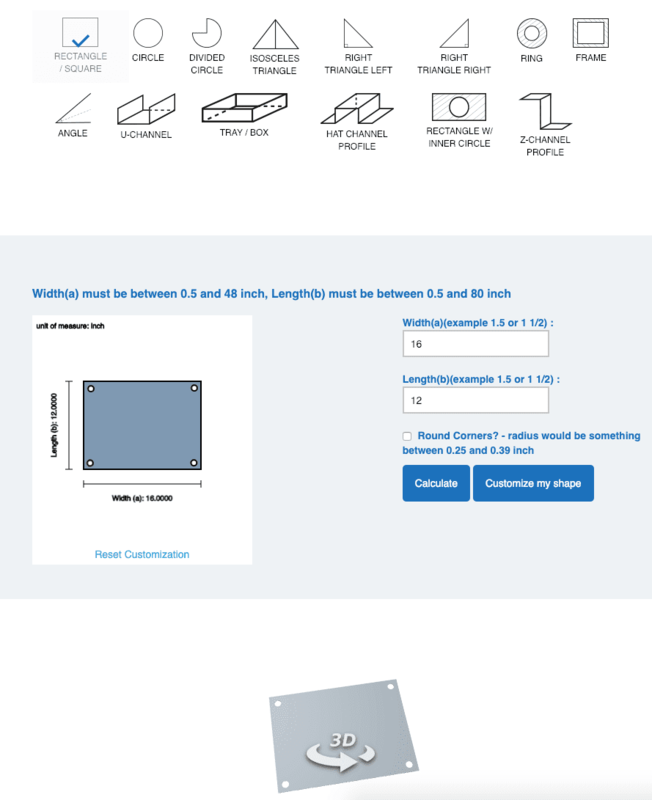 you already have fulfilled 3 out of the 4 easy steps to configure your sheet metal rectangle. In the 4 step you choose the rectangle to be configured. The sheet metal calculator will give you a price for your custom cut metal rectangle including the options you have chosen. 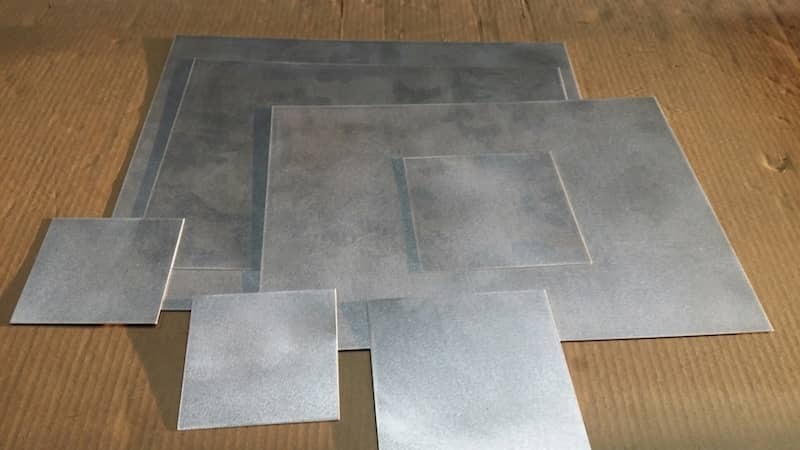 Why get custom cut metal rectangle from MetalsCut4U? We are pioneers in the field of cutting and bending metals. Ranging from precision cutting, bending, polishing to delivering the piece to your doorstep, our experts are there to help you. We have machines equipped with the latest technology that cuts a metal sheet into the desired shape with fine smooth edges. A metal rectangle is cut with the accuracy of a 10th of a millimeter along with polishing its edges and surfaces. You can get an aluminum, stainless steel or a steel rectangle as per your requirements. How to order a custom cut metal rectangle? It's a straightforward process of four steps. You need to select the desired metal, the type of surface, thickness of metal and then specify the size of the rectangle. Voila! You are done. We will take care of the rest of the work like cutting, cleaning and delivering it to you.